← evo’s gang and his admiration to them, has ruined Bolivian reputation, worldwide! Our alcoholism problem is not tackled properly, unlike Americans, we do not openly speak about our addictions and seek support … in most cases, the family tries to cover the issue and the downward spiral goes on an on. No social class is exempt from this uncontrolled, and sometimes sponsored consumption. We include alcohol in most our social events and we seem not to have enough control over the quantity, let alone quality. I have seen parents that make sure their kids do make sure to get them fake IDs when they are about to go to Cancun for their high school prom trip. Some decades ago, alcohol consumption was mostly made by the male population, now, women have embarked on it … heavily. This is a serious problem that most of the times ends up in violence, where women are the ones who suffer the most. Families, work force, human interaction suffer from alcoholism ,,, what to do? The same way our children learned about taking care of the environment and not smoke cigarettes … we should continue with building awareness on the use of alcohol … we must lead by the example. 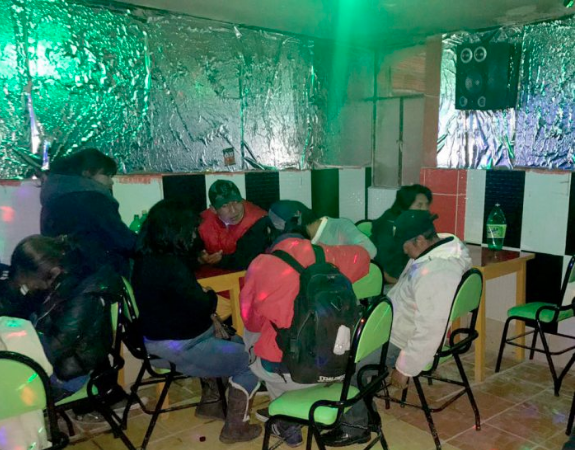 Various organizations and authorities in the country are concerned about the high consumption of alcoholic beverages throughout the country, the city of El Alto also has alarming rates of this aspect, by men and women. The figures show that most crimes are caused by the effects of beverages, femicides, infanticide, parricide, as well as fights and quarrels where there is death of some people, these are the consequences of this excess. The street parties, the uncontrolled sale of illegal liquors, the factories that use methanol to cheapen the product, are killing the youth, either by consumption and by the violent consequences they produce. 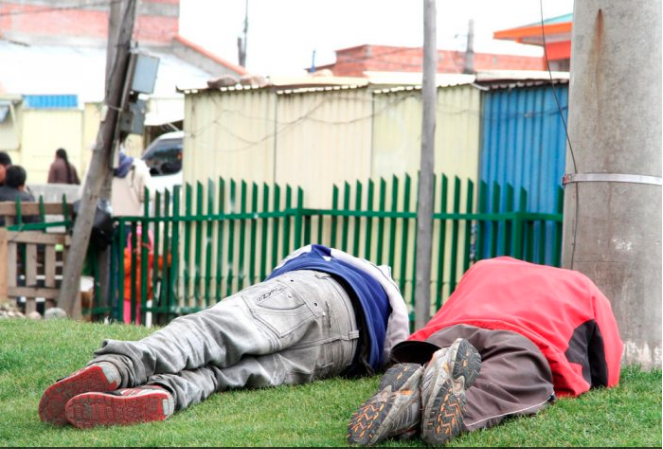 Going through the city’s Ceja, at night and at all hours, has become a dangerous journey for every citizen, although there is police surveillance, thieves know in which streets to assault passers-by in their ethyl state, alcohol increases citizen insecurity. 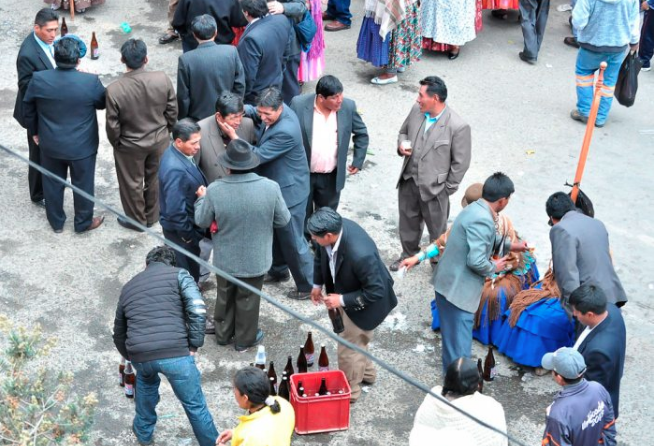 EL DIARIO presents images that show the activity of the inhabitants of El Alto. This entry was posted in Bolivia, Crime and Violence, Health, Social Unrest and tagged domestic violence, violent deaths. Bookmark the permalink.